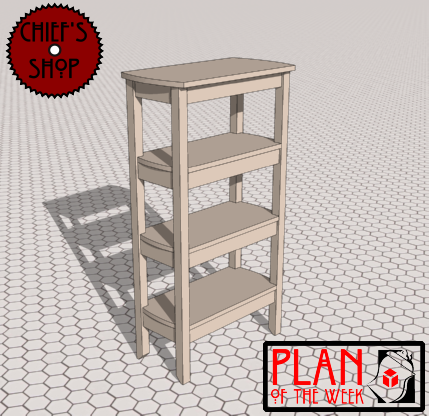 The Chief’s Shop Bath Shelves add some storage to small and large bathrooms alike. Of course, it can also work in any room as additional storage, such as a kitchen or home office. The ends of the top and shelves are slightly rounded, and the bottom of the legs feature a 45-degree miter. Overall dimensions: 25 inches wide x 13 inches deep x 45 3/4 inches high.